You are here: Home / Latest in Personal Finance / RBI’s statistical data on Indian Households Savings & Investments (2017-18) | How & Where do we save & invest? The Reserve Bank of India (RBI) has released the latest volume of its annual statistical publication, ‘Handbook of Statistics on the Indian Economy – 2018‘ on 15th Sep, 2018. Through this publication, the Reserve Bank has been providing time series data on various Economic and Financial indicators for the Indian economy. Socio & Economic indicators and so on..
Financial Assets Vs Physical Assets – Which are our preferred Assets? From 2008 to till 2015, we preferred physical savings to financial savings. The Gross Financial Savings during 2014-15, 2015-16 & 2016-17 were Rs 12,572 billion, Rs 15,207 billion and Rs 14,048 billion. 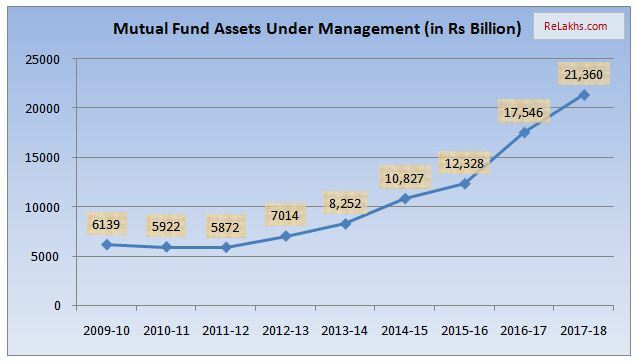 As per the data for 2017-18, around Rs 18,800 billion were invested in Financial assets. The savings in Physical Assets were around Rs 14,164 billion, Rs 15,000 & 12,700 billion during 2013-14, 2014-15 and 2015-16 respectively. The data for 2016-17 was around Rs 13,900 billion were invested in physical assets. The above recent years data clearly indicates that there has been a slight uptick of savings in Physical Assets and steep increase of savings in Financial Assets (2017 Vs 2018). Based on the above data, we can observe that there has been a steep decrease of savings in Bank deposits and a steep increase of investments in Shares during 2017-18. We can also infer that Pension and Provident Funds have been receiving steady in-flows. Around Rs 6,739 billion were taken as Loans and advances from the Banks & Financial institutions during 2017-18. This figure was around Rs 3,700 for the FY 2016-17. So, the financial liabilities of Indian households have almost doubled. Loans taken from Banks during 2015-16, 2016-17 & 2017-18 were Rs 2,747 billion, Rs 2,509 and Rs 4,300 billion respectively. 2016-17 Figures : The total outstanding NRI deposits were Rs 7,577 billion, out of which NRE deposits, FCNR and NRO deposits were around Rs 5,395 billion, Rs 1,361 billion & Rs 820 billion respectively. 2017-18 Figures : The total outstanding NRI deposits were Rs 8,207 billion, out of which NRE deposits, FCNR and NRO deposits were around Rs 5,856 billion, Rs 1,432 billion & Rs 918 billion respectively. 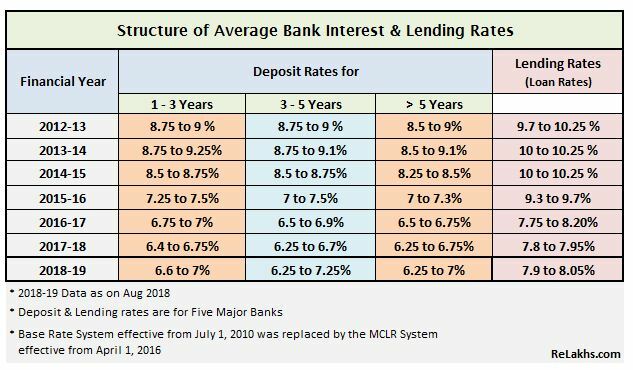 Indian households’ savings in Post office time deposits and recurring deposits have increased slightly in 2017 as well. Gold & silver to the tune of Rs 2,106 billion and Rs 276 billion were imported during FY 2014-15, Rs 2,074 billion and Rs 244 billion were imported during FY 2015-16, around Rs 1,843 billion & Rs 123 billion were imported during FY 2016-17. The figures for 2017-18 were, Rs 2,170 billion worth of Gold and Rs Rs 207 billion of Silver had been imported. Thus, we can see a trend reversal of imports of Gold & Silver in India during the last fiscal year. The average annual price of Gold (10 gms) in 2016-17 was Rs 29,655 and silver (1 kg) was Rs 42,748. The average annual price of Gold (10 gms) in 2017-8 was Rs 29,300 and silver (1 kg) was Rs 39,072. Share Market Indices: The annual average of share price index of BSE Sensex was 27,338 and Nifty was 8,638 for FY 2016-17. The annual average of share price index of BSE Sensex was 32,396 and Nifty was 10,424 for FY 2017-18. Inflation : The CPI (consumer Price Index), which is popularly known as INFLATION has gradually decreased from 10 in 2012-13 to 3.6 in 2017-18. Investments by LIC : LIC has invested around Rs 21,525 billion in Stock-exchange securities during 2016-17 (an increase of around 14%). During 2017-18, LIC had invested around Rs 24,154 billion. Home loans : HDFC has disbursed home loans to the tune of Rs 1,712 billion in FY 2016-17. The total home loans outstanding amount with HDFC is around Rs 3,594 billion. 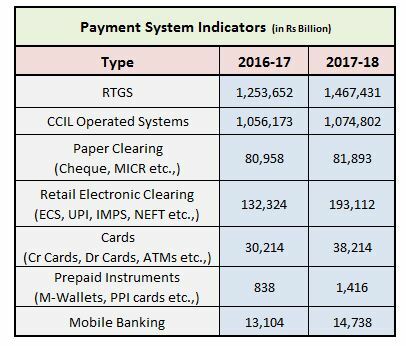 Electronic Payment System : The FY 2016-17 saw an uptick in the amount of money cleared through ‘Pre-paid instruments & retail electronic clearing systems’. Taxes : The central govt has collected direct taxes of around Rs 6,245 billion during 2017-18. Out of which, the personal income tax amount was Rs 2,670 billion and corporate tax amount was Rs 3,574 billion. Indirect taxes to the tune of Rs 6,448 billion has been collected. We (Indians) maintain a reasonably very high net savings rate (the national saving rate is about 20 per cent of GDP). However, the net savings rate as a % of GDP has been steadily declining since 2011-12. Also, a major portion of these savings gets invested in unproductive assets like Gold or low-yielding bank fixed deposits or traditional life insurance policies. whats your opinion on index funds where there is passive monitoring only by fund managers ..can the rate of managing the fund can help investor in long term compared to active managed mfs ? what are the pros and cons ? It depends on an investor’s risk profile and investment strategy. However, post SEBI’s reclassification of mutual funds, the out-performance of actively funds vis-a-vis indices can be a challenging task. Hence, one can include an index based fund in ones portfolio. * What are Index Funds? ETFs Vs Index Funds | Should you invest in them? Indeed! One of the best way to save money. Nice article! Maybe its just me, But it seems the cycle is repeating itself. Investments in financial products was highest in 2007 which exploded in 2008. The same seems to be happening in 2018. Are we heading for another collapse. What could be your reasons for the possible collapse? Kindly share.. Informative. Investors should keep asset allocation in mind and know when and where to invest. Good collection and analysis of data. Thank you dear Venugopal.. Keep visiting ReLakhs.com!